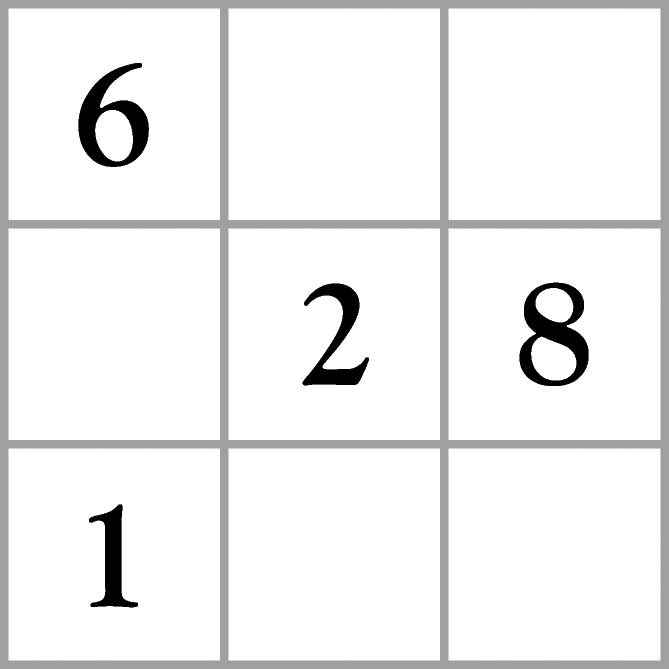 Each Hidato puzzle starts with a grid partially filled with numbers. Tip #1: Each puzzle has only one solution. Tip #2: Hidato puzzles can be solved using 100 percent logic. No guesswork is needed. Tip #3: The first and last numbers of a puzzle are circled. Tip #4: It is not necessary to start from the first number. Sometimes it is better to start elsewhere. Tip #5: Working backwards (counting down in numbers) can reveal key clues to solving the puzzle. The following example demonstrates how to solve a Hidato puzzle. The circles indicate that the lowest number in the grid is 1 and the highest is 16. We start by trying to complete chain 1 to 3. There are two possible places to put the 2. It is not clear which position is correct. Therefore, look for other connections that will provide the clues needed to place the 2. As you scan through the puzzle, you can also see that there is not enough information to solve chains 4 to 8, 8 to 10, and 10 to 12. However, there is only one way to connect 12 to 15. By working backwards, the only possible position for the 14 can be deduced because the 15 has only one open box connected to it. With the 14 placed on the grid, the locations for the 2 and the 13 are revealed. 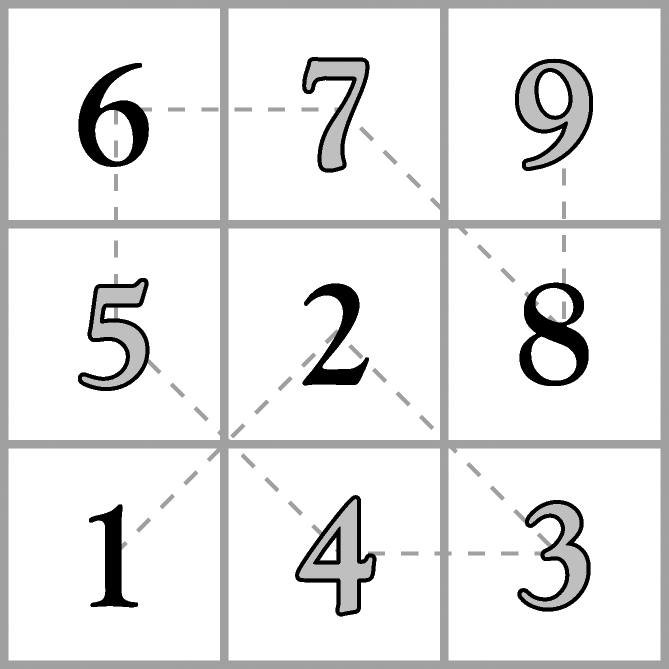 Now, numbers 5, 6, and 11 also have exact positions. The final numbers can now be placed to complete the puzzle. These strategies can be used to solve all levels of Hidato puzzles.